Shine like the night sky in this textured wrap ring. 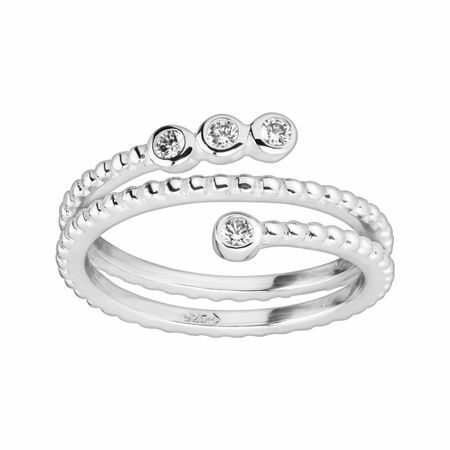 White cubic zirconia dot the ends of this open wrap ring, textured for added detail. Ring face measures 3/8 inches in width.